Please pass this information on to Veterans who might be interested. The flier is attached. The public is encouraged to attend also. A tribute to everyone with a connection to the Vietnam Wall Memorial. If you have a connection to the wall come out and honor us with your presence. If you have someone on the wall, you will be asked to come stand by your veteran at the end of the program. I expect most will move to the wall. We will be hosting our Monthly Meeting next Tuesday, (March 19, 2019) at the VFW Westside Post # 7380 Hall at 8:00 am. Great program is in the planning stages. Each valley city will be part of the program. If you are interested let us know, we need a ball park figure on attendance. ASUA “Sounds of Freedom” military band will play patriotic music. 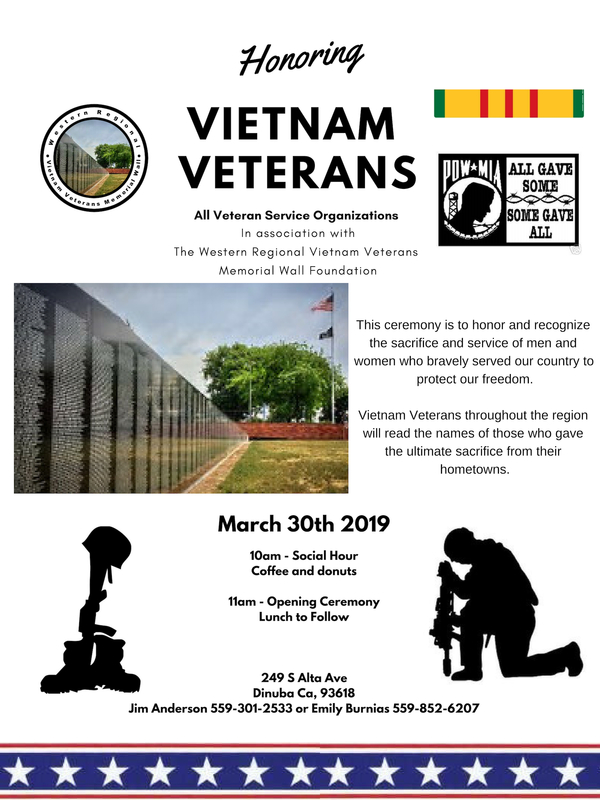 Special recognition of Lao and Hmong Veterans. Special recognition of Veterans on the wall from valley cities. If you wish to display items let us know early and show up early on March 30. For those who don’t know about the wall or have not seen the wall, this is a great time to show respect to those names listed on the wall. 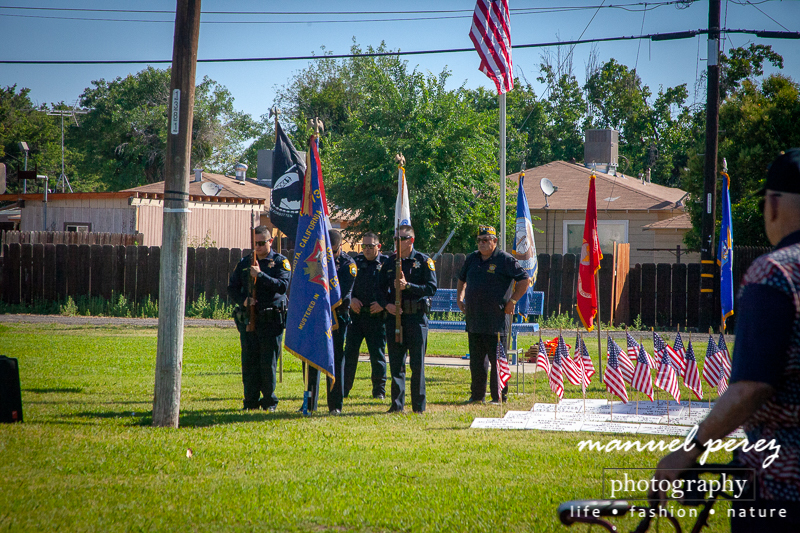 Here is a photo from our Memorial Day Event from this year. If you have any photos from this event that you would like to share, please send them to us. 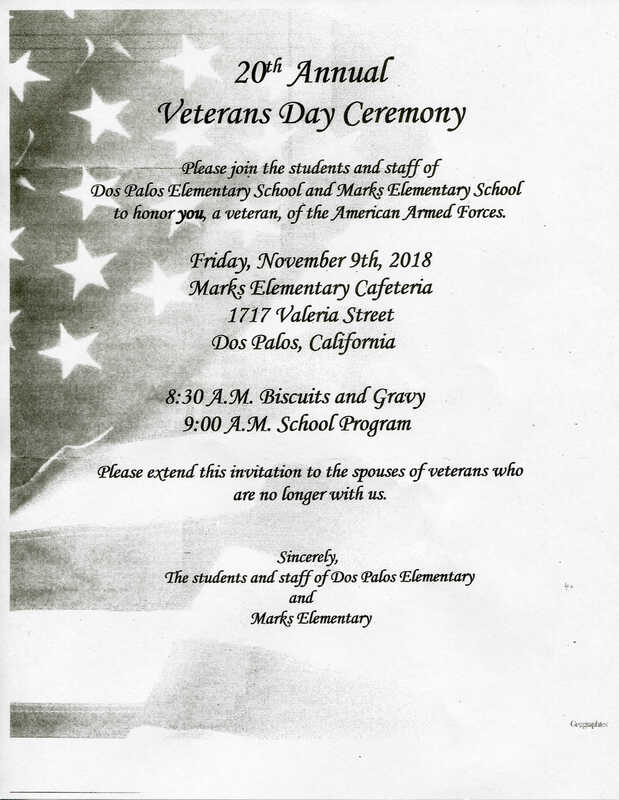 Please join the students and staff of Dos Palos Elementary School and Marks Elementary School to honor you, a veteran, of the American Armed Forces. Please extend this invitation to the spouses of veterans who are no longer with us. 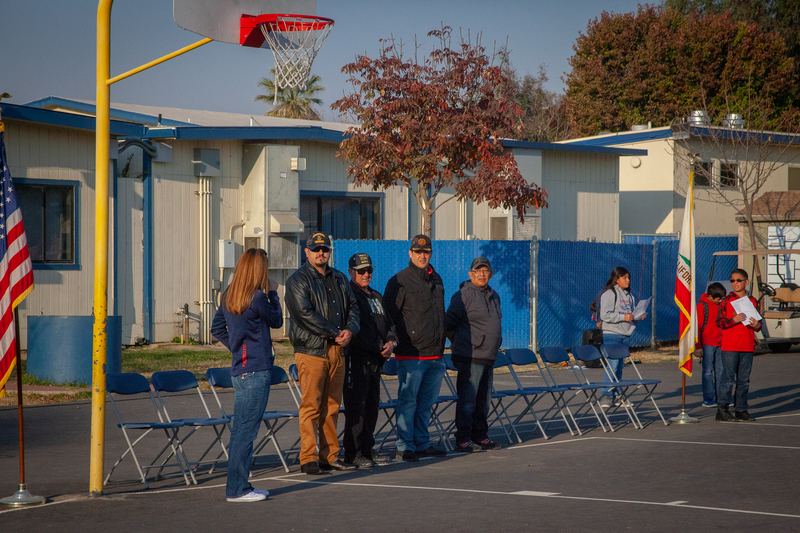 The students and staff of Dos Palos Elementary and Marks Elementary.